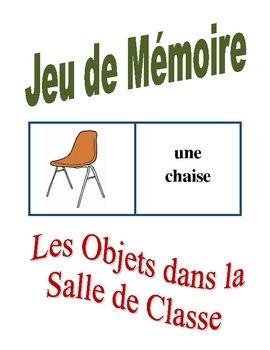 This is the classic game of memory with class objects in French. Students enjoy using this activity to review and practice vocabulary. 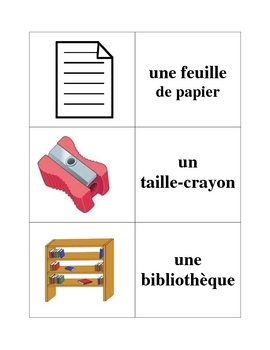 The teacher simply prints out the sheets and cuts them up and they are ready to be used. These sheets can also be printed back to back and used as flashcards with pictures on one side and words on the other. The activity includes 24 picture/word pairs. 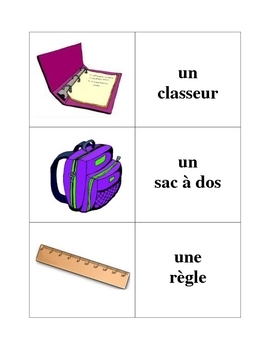 This resource is available in a bundle with additional activities with classroom objects in French. 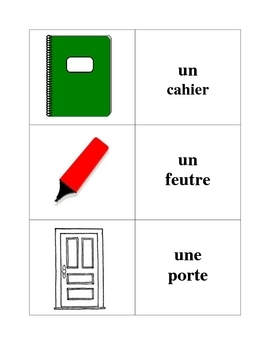 It's also in the bundle of French Memory Games.